Looking for an easy-to-use sales motivation tool? As a sales leader, your time is spread across hundreds of responsibilities. It can be hard to provide hands-on coaching and motivation for your sales team. Hoopla offloads part of that by displaying leaderboards on TVs in your office, holding your reps accountable for metrics that you deem important. Want to inspire focus and alignment around sales goals? Broadcast important sales goals, and progress toward achievement. Keeping these goals front-and-center will keep your team aligned and increase performance where it matters most. 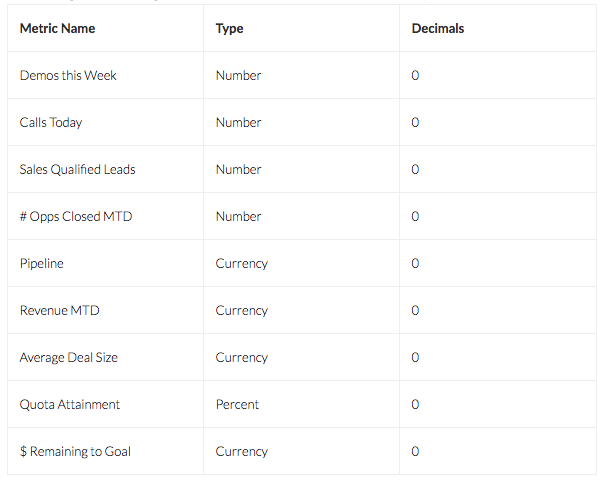 You can track individual and team progress on outbound calls, scheduled demos, closed deals, and any other key metric. Looking for an easy way to keep sales KPIs top-of-mind? Key business data is often buried in your CRM. Even if it’s accessible on a dashboard, sales reps don’t take the time to look at it. Leveraging dynamic TV broadcasts, Hoopla makes it easy to communicate effectively across your organization and bring visibility to the metrics that drive your success as a sales team. Staying informed is as easy as glancing at the TV! 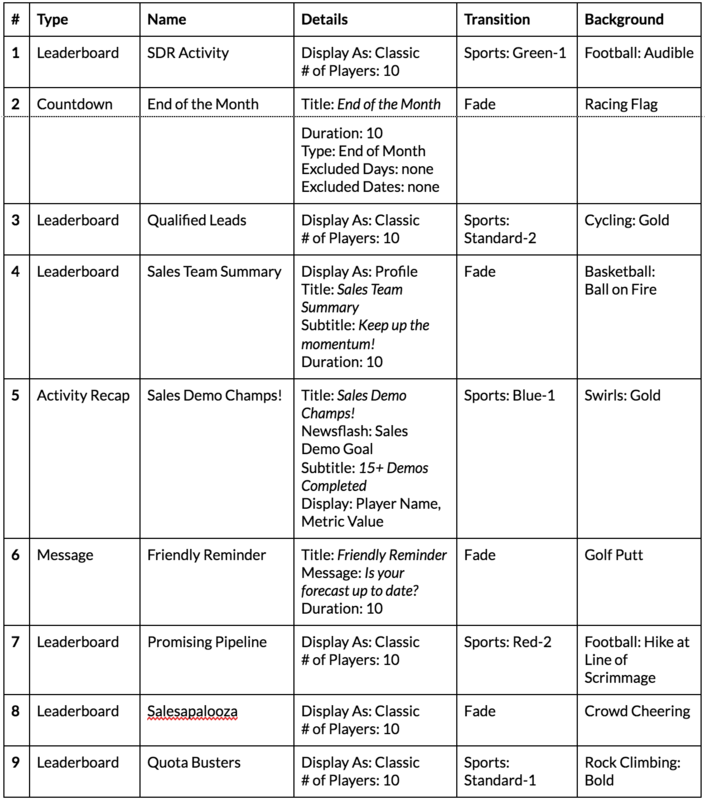 Want to promote an engaging and lively sales culture? Can you name the last deal that was closed by one of your team members? Could you even guess when it happened? Hoopla Newsflashes can trigger off of events like a closed opportunity or a person hitting quota, ensuring that the whole team knows about it. Celebrating booked deals - big or small - builds an encouraging and motivating culture that keeps your team engaged. Check out this demo channel for Sales to see Hoopla in action! Log in to your existing account or contact us to get started. Follow these instructions to set up Hoopla with the Salesforce integration. If you don’t use Salesforce, follow these instructions instead. 5. Define a couple Metric Newsflashes. Default Message: Way to complete another demo! Let's chase that opportunity! Default Message: Great job closing that deal! Keep up the momentum! 6. Define a Quickfire Newsflash that will help you make on-the-fly announcements to your team over Hoopla TV and our web and mobile applications. 7. Define your Channel by clicking and dragging desired components into your Lineup. Within the Lineup sub-tab, you can select and configure Leaderboards and Extras (e.g., Countdown). 8. Add Newsflashes to your Channel to celebrate important achievements or make on-the-fly announcements. Drag over the Newsflash step into your lineup; within the dropdown menu, you should see your three Newsflashes you defined previously. Add a Newsflash step for each Newsflash you wish to see fire on your channel. 10. Broadcast your Channel. You will need a dedicated device attached to each TV that will display a Hoopla Channel. Check out our hardware requirements before purchasing devices. TV Display Activation - Hoopla TV Activation gives Hoopla Admins the ability to control Hoopla TV Channels remotely, with the click of a button. This process will also provide security for your Hoopla TV Channels and enable authorized devices - determined by the Admin - to play/view a Hoopla TV Channel. Salesforce - automate metric updates by syncing with Salesforce reports. Create Streaming Newsflashes that trigger when an opportunity is closed, or a demo is scheduled. Manage users and teams dynamically, based on reports in Salesforce. Google Sheets - use bi-directional syncing to transform data from Salesforce into new metrics like conversion rates, month-over-month growth, quota attainment, etc. 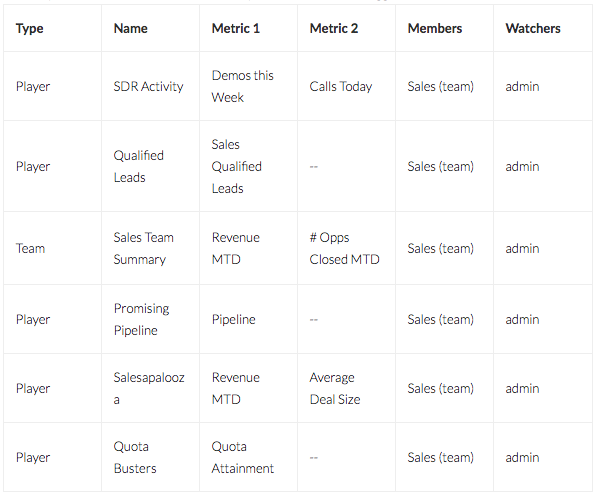 Enable Team syncing to track Team metrics like Average Deal Size, Team Quota Attainment, and more. Slack - post announcements to Hoopla TV from within Slack! Send out meeting reminders, kudos, and birthday announcements. Zapier - connect with hundreds of other internet apps to update Hoopla Metrics or trigger Newsflashes.